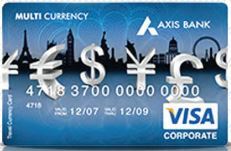 The Axis Bank Multi Currency Forex Card is a single card supporting up to 16 different currencies. It gives insurance coverage up to INR 3,00,000 for lost and stolen card. 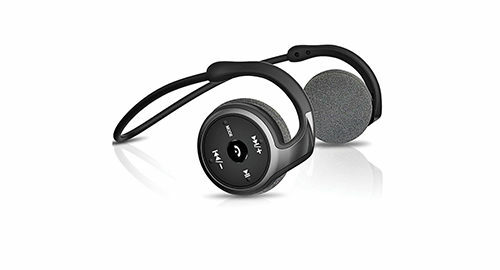 You can also encash their refunds once you return and its validity is up to five years. Axis Bank Ltd charges INR 300 plus GST to issue a single- or multi-currency forex card. Forex card is one of the mainstream services offered by Thomas Cook. They regulate two variants—Borderless Prepaid Card (multicurrency card) and One Currency Card. Thomas Cook Borderless Multi Currency Prepaid Card is marketed as one card supporting eight different currencies. This card is globally accepted at 35.2 million merchant establishments. It provides access to wide range of merchant establishments and ATMs. They also provide free replacement of lost or stolen card and an insurance cover up to USD 10,000. The One Currency Card supports only USD. The USP of HDFC Regalia ForexPlus Card is no cross-currency conversion charges, which is very useful. However, GST is applicable on currency conversion. This card provides complimentary airport lounge access. You can use it online at e-commerce platforms. 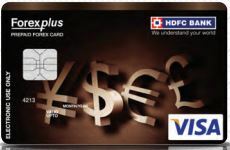 HDFC Regalia ForexPlus Card offers cashback of 5 pc or 5x Reward Points. It also offers emergency cash delivery at overseas locations. This is a good choice if you are planning to visit a single location. The best feature of this card is that you can reload it at any of the ICICI Forex branches, their online platform-Forex@Click, or through their iMobile app. The card also provides benefits such as up to 20 pc discount on dining, shopping and other expenses at merchant outlets across the globe; online account management facility, and a travel insurance cover of up to INR 10, 00,000. You don’t need to have a savings or a current account with ICICI bank for purchasing this card. Yes Bank Multi-Currency Travel Forex Card is a good option for those who plan to visit multiple destinations abroad and don’t want to spend more money on card issuance fee. Even with the lower joining fees, this card offers you 10 currency wallets, but the default currency on this card is USD. “Being a frequent traveller, I find forex cards a blessing. Sometimes it’s really difficult to carry cash, especially on a long tour which involves multiple currencies; there comes the card as a saviour. With so many options, buying a card has become very easy and all it takes is a phone call to the sales executive if you want to reload currency. Forex cards are extremely travelfriendly and a big yes for all avid travellers,” says Riddhi Roy, a passionate traveller and operations manager in a Kolkata based travel company. “I am a bit sceptical about using forex cards due to the lack of security layer. The magnetic strip of the card can get copied at a desolate ATM or a small store, which may lead to fraud. Following up on the investigation process can be terribly frustrating,” says Gopal Sadani, a travel enthusiast who works for an IT company.